Back when Sonny Liston was "The baddest man on the planet"
There was a whole lot going on in the world fifty years ago. In the real world, hugely popular President, John. F Kennedy was embroiled in both civil rights issues and the ever-growing tension that was building in South East Asia. In England, the shock of the Profumo Affair was huge news, and in the same country members of pop music group The Beatles were closing in on taking the entire planet by storm. In the boxing world, a young Cassius Clay was making noise, claiming the world heavyweight title was his destiny. For the moment, though, a hugely strong and terrifyingly intimidating former jail bird by the name of Charles Liston, Sonny to those who knew him, was looking like sitting on the heavyweight throne for, well, as long as he liked! 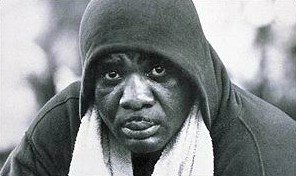 Not only was he a destroyer inside the ring – the rematch win over Patterson being his 34th career win, all but seven coming inside the distance – but Liston was also seen as a bad guy out of it. Having served time in jail, having known mob handlers and being all but illiterate, Sonny was not a champion the general public warmed to. Desperate to see “Good Guy” Patterson beat up “The Thug,” the majority of fight fans were once again disappointed in July fifty years ago (even JFK had spoken to Patterson at The White House, encouraging him to beat the unsavoury Liston). Sonny was a champ to stay. Or so it seemed. No-one would have guessed it, but in his very next fight after despatching Floyd, Liston would be beaten and all but finished as a top class heavyweight. Today, we all know who was waiting in the wings to “Shake up the world,” but back in the summer of 1963 no heavyweight seemed up to the task of taking Liston’s belt – least of all a loud-mouthed kid who had boxed in the Olympics as a light-heavyweight! Still, that monumental upset was a good few months away. For now, Liston could enjoy being the heavyweight champion. Sonny didn’t really enjoy it, however, as he was upset with the fans’ decision not to like him. “The fans aren’t me now,” Sonny said, “but pretty soon they’ll have to swing along.” He was wrong, the fans never did swing along and get to really like him. Having said that, when he fought his eventual conqueror in Cassius Clay for a second time – Clay by now, of course, being known as Muhammad Ali – the fans did root for the former bad guy. Liston was not now a hero, but in comparison to a member of an unknown and dangerously perceived group such as The Nation of Islam, as Ali was, Liston was all of a sudden seen as a better option for heavyweight champion. Two summers previously, when he was violently slamming Floyd Patterson to the canvas for a second time, the turn of events that occurred in May of 1965 could not have been even remotely imagined. The 1960s really did produce many monumental, unforgettable moments. In the sports world and elsewhere.